SD Style Bloggers Pre-Opening Day Meet Up! To welcome all of the new bloggers to our community and to catch up with our ol' blogger friends, San Diego Style Bloggers cordially invite you to join us for a meet up brunch in collaboration with the fabulous W Hotel and Fashion Week SD organized by one of our own Tanya from La Bella Tanchi. If you went to our brunch at the W last year, you know what a fun time it was! Make sure to reserve your spot! I'm really excited to see y'all there! San Diego Style Bloggers, hold your horses as you are cordially invited to an exclusive event at the W San Diego. 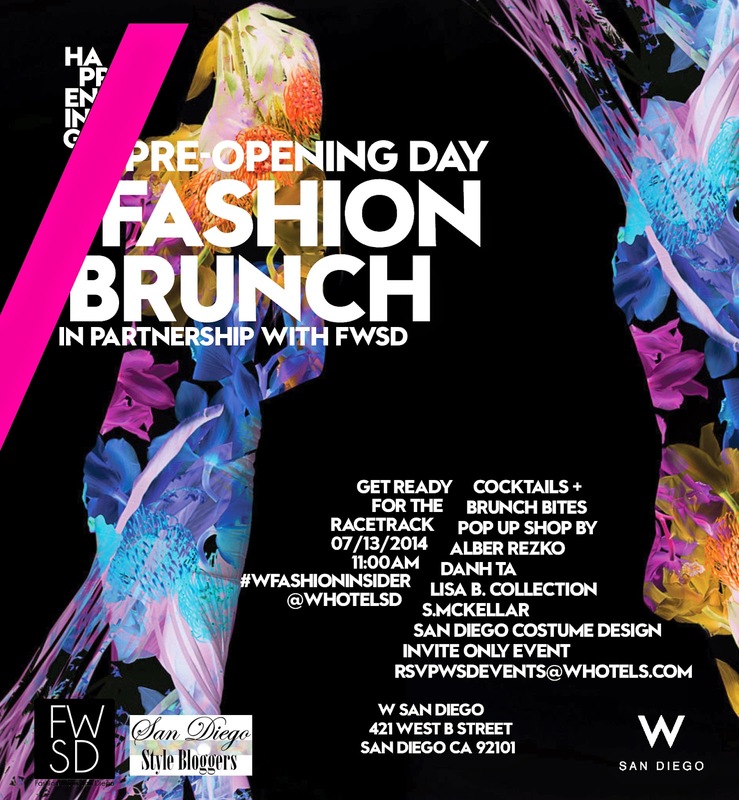 On Sunday, July 13th at 11 AM, race on over to preview a taste of 'Opening Day' hosted by the W San Diego in partnership with Fashion Week San Diego (FWSD). Come brunch on selections from the brand new menu at the Kelvin restaurant, and get up-close and personal with FWSD's favorite collections of hats, fascinators, accessories, and clothing in theme with Del Mar Racetracks ‘Opening Day.’ One of the largest events this summer is just weeks away, and we would love to see you in your ‘Opening Day’ bests to show readers how to style and dress when heading off to the races. Please RSVP to rsvpwsdevents@whotels.com to attend the brunch. Aww :( Wish I could come. I'll be newly married and in a haze I suspect. Have fun ladies! Awwww! I wish I could go, but it's my anniversary weekend and the hubby and I will be in Palm Springs. Have fun!